A huge thank you to all of our Judging Partners for their support once again this year. GlobalData Retail, previously known as Verdict, is a leading provider of retail intelligence, offering unique data and expert analysis on retail markets, competitors, consumer profiles, and technology trends. Its global content spans the length of the retail value chain, from suppliers through to consumer behaviour, delivered through its intelligence centres, reports, and bespoke projects and presentations. Over 4,000 of the world's largest companies, including over 70% of FTSE 100 and 60% of Fortune 100 companies, make better and more timely business decisions thanks to GlobalData's unique data, expert analysis and innovative solutions, all in one platform. GlobalData works with many of the world’s leading retailers, property firms and those in the financial sector to develop, evolve and implement their business strategies. GlobalData's mission is to help its clients decode the future to be more successful and innovative across a range of industries, including healthcare, consumer, retail, financial services, technology and professional services. Since its founding, GlobalData has partnered with the Retail Industry Awards every year, and is delighted to be participating once again in 2018. Hanover creates strategies, develops content and drives trade engagement for two of the biggest companies in the convenience channel – Lucozade Ribena Suntory and Mondelēz International. The dedicated trade team at Hanover continues to grow and build on its success. Our proactive focus on market-leading initiatives has driven unique coverage and best-in-class results for our clients across print, digital and face-to-face platforms. Hanover has delivered exceptional service and results for their clients, and led to the team getting awards recognition in 2018. 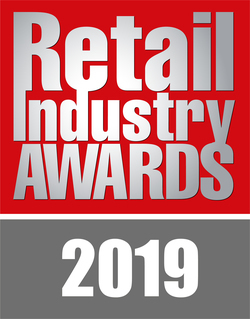 Hanover is proud to be the judging partner for the Retail Industry Awards for 2019. IGD provides leadership to the food and consumer goods industry to ensure it delivers what matters to the public. A research and training charity, IGD is the leading source of information and best practice on the consumer goods industry worldwide. We use our insight and expertise to equip people to face the challenges of this fast-changing world. Our mission is to deliver a secure and sustainable future where everyone has affordable, safe and reliable food and consumer goods. Our in-depth understanding of consumer goods retailing and supply chains, coupled with our daily dialogue with shoppers, means we can provide you with unparalleled insight. All the money we make from selling our expertise goes back into the industry through our charitable activities. Kantar Worldpanel is the global leader in continuous consumer panels. Our consumer knowledge and shopper insight means we are a business dedicated to Inspiring Successful Decisions. In the UK, our consumer panel of 30,000 households is the largest single source of continuous consumer and shopper insights. We offer unparalleled expertise and competitive advantage. Our expertise about what people buy, use and why has become the market currency for brand owners, retailers, market analysts and government organisations. Through our purchase and usage panels we monitor the trends in the FMCG market – these are the everyday food and non-food consumer products that make up a significant portion of the UK household budgets. Combining purchase and usage data, we present our clients with an holistic picture of the FMCG market and its upcoming trends. For over 60 years we have been partner to major grocery retailers helping them understand their customers better – delivering strategic understanding, tactical innovation and that all important competitive advantage. In the UK our FMCG data and insights span across Fresh, Health and Beauty and Alcohol with specialist teams working on categories within these each of these areas; fish and chilled convenience, meat, bakery, dairy, cosmetics, toiletries and healthcare as well as household products such as household cleaners, air fresheners and paper products. It’s a pleasure for us at Nielsen to once again support the Retail Industry Awards and be involved in the recognition of high-achieving businesses. As a leading global provider of information and insights around what consumers watch and buy, we’re proud to bring more than 90 years of Nielsen heritage and experience to the judging process. Each month, we not only gauge billions of sales transactions in retail outlets in the UK and around the world, we also measure the shopping behaviour of hundreds of thousands of panellists. This provides an unmatched understanding of consumer purchasing dynamics at a household level that helps our clients win in-store. We’re delighted to be able to lend this expertise to the awards and we warmly congratulate all this year’s winners. Vantedge is a branding consultancy founded in 2009 with the aim of helping retail and FMCG clients build value through clear and timely brand and brand activation campaigns. Its work covers shopper and competitor insights, the strategic implications of what is happening at the shopper level and executing creative ideas that deliver value through retail. Vantedge works with many leading UK retailers, FMCG brand owners and their agency partners to deliver ideas that work at a pace and practicality required in the UK market. Vantedge is proud to assist in the Retail Industry Awards, having done so every year since 2009. The judging process consistently highlights the dynamic and competitive nature of UK retailing and we are looking forward to participating again in 2018.